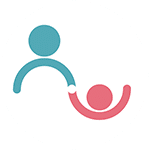 Parenting >> blog >> Pregnancy >> Is Suryanamaskar Safe During Pregnancy? Suryanamaskar in yoga is a group of asanas synchronized with breathing. Suryanamaskara can be considered as a full body workout, stretching and strengthening all joints and increasing the blood circulation. It improves the efficiency of internal organs and glands, the whole endocrine system, and also detoxifies the body. Is Suryanamaskar Beneficial During Pregnancy? Yes, Suryanamaskar can be extremely beneficial during pregnancy, as it literally works every muscle in the body. It can alleviate most of the physical and emotional issues that arise during pregnancy. 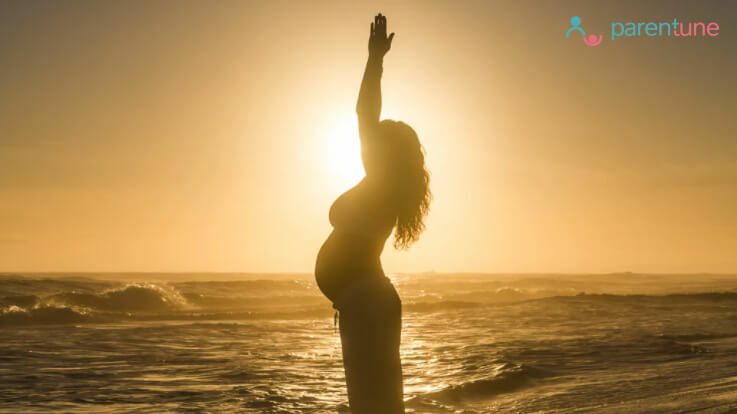 What Are The Benefits Of Suryanamaskar During Pregnancy? Here are the major benefits of Suryanamaskar during pregnancy. Ok so there are benefits of practicing Suryanamaskar during pregnancy but is it hundred percent safe during pregnancy? Keep reading to know more. What Foods to Avoid During Winter Pregnancy ? Is Suryanamaskar Hundred Percent Safe During Pregnancy? Suryanamaskar is highly beneficial and generally considered safe during pregnancy. Even then, pregnancy is the most vulnerable phase of a woman and nothing can be considered 100% safe during this time. Therefore, during pregnancy, you may practice Suryanamaskar if you keep these things in mind. Ask your doctor before continuing or starting the practice of Suryanamaskar: You should consult your doctor before you continue to practice Surya Namaskar. Even if you feel fit, there are some circumstances that call for reduced physical actions during pregnancy. Your doctor is the perfect person to tell you if you could continue the practice. Avoid doing it if you have some complication in pregnancy: If you have any complications in your pregnancy avoid doing the Surya Namaskar. After all, it is a whole body workout, and hence, not suggested for those who intended to take bed rest. Stop immediately, if you feel even a slight discomfort: It is very important that you should be fully conscious of your joints, muscle and whole body movement. Whenever you feel tired, or some uneasiness in any joints or muscle, stop the practice immediately. Be gentle: During pregnancy, you should be gentle in your movements. Do all the postures without causing any strain to your abdomen or back. Also, never expect or force yourself to do the same number of Suryanamaskar that you were doing before pregnancy. You can start by count three and eventually increase the number comfortable for you. Professional guidance: If you are attempting Suryanamaskar for the first time, then never do without a professional guidance. If not done in a proper manner, it can adversely affect your pregnancy. Even the inhaling and exhaling must be done properly. Make it a daily practice: You must keep in mind that you should do the Suryanamaskar daily and not skip it without relevant reasons to get the benefits. Never skip Shavasana: Do not forget to practice Shavasana after completing the Suryanamaskar. If needed, you can take short Shavasanas in between each cycle to ease yourself. Did you find the blog - is Suryanamaskar safe during pregnancy - useful? Please share your views and feedback with us in the comments section below.